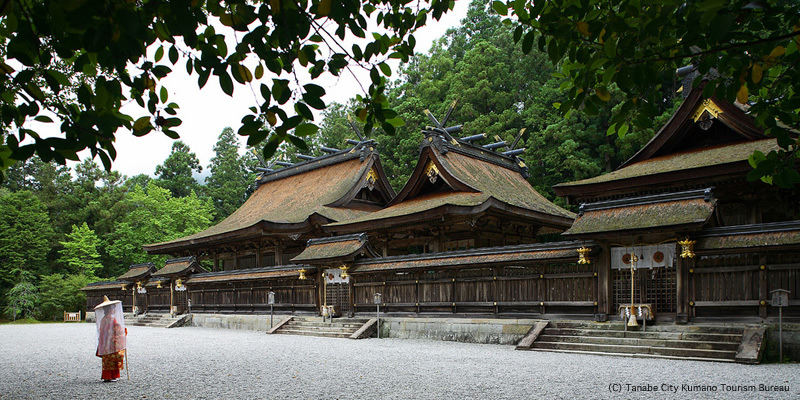 Wakayama is part of the Kii-hanto peninsula, a very sacred and spiritual area of Japan. 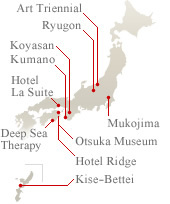 (the Three Grand Shrines of Kumano) along with the Kumano Kodo pilgrimage routes that connect them,were registered on the UNESCO World Heritage list as the "Sacred Sites and Pilgrimage Routes in the Kii Mountain Range". Walking the Kumano Kodo Pilgrimage routes, like pilgrims have been doing for over a thousands years,is a fantastic way to experience the culture of rural Japan. At the end of the day soaking in one of the isolated hot springs scattered about the mountain side is a perfect wayto relax and cleanse the body, mind and spirit.